Looking for that Perfect Beach Retreat at a Price that is AMAZING??? Look No Further! This efficiency with one-bathroom condo has Everything you could want in your Beach Get Away. Sit on your balcony and watch as the waves roll onto the beach from the gorgeous Atlantic Ocean. 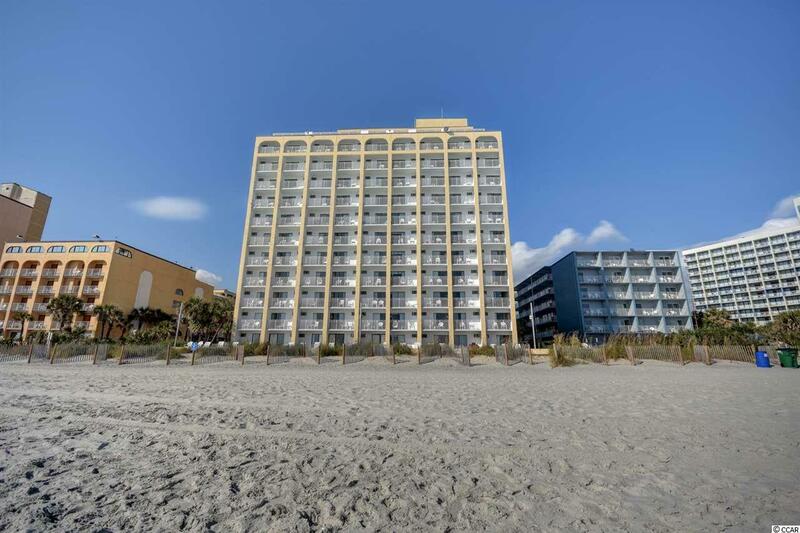 Sea Mist Resort is a well-known vacation destination located along the south end of Ocean Boulevard in Myrtle Beach. The condo features two beds, a small dining table, and a combination tub/shower in the bathroom area. You will enter the condo through the kitchen area which includes a full-size refrigerator and stove for cooking throughout your stay. The Resort includes endless amenities to keep itsâ guests entertained during their stay. You donât even have to leave the property because Everything is at your fingertips. Sea Mist Resort is a 14-acre complex for Fun in the Sun including over 12 pools (indoor & outdoor), multiple jumbo Jacuzzi, lazy rivers, kidsâ activity pool, mini golf, theater with free movies, bars & grills, arcade, fitness center, grocery market, and the list goes on and on! The Family Kingdom Amusement and Water Park is located within walking distance if you and your guests like to take a Ride on the Wild Side. You are only Minutes from Shopping, Dining, and Entertainment along the Grand Strand from this location. Don't miss out on this GREAT OPPORTUNITY to own a second home on the beach with excellent rental potential. Call and make your appointment to view today.